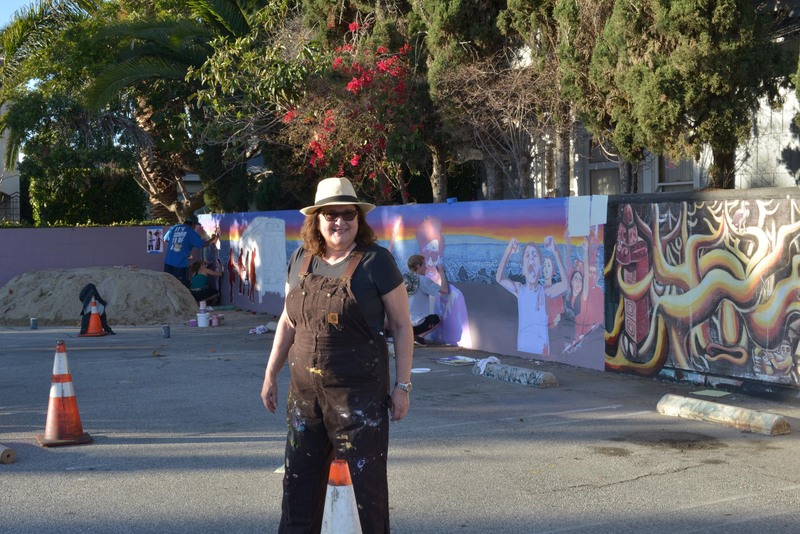 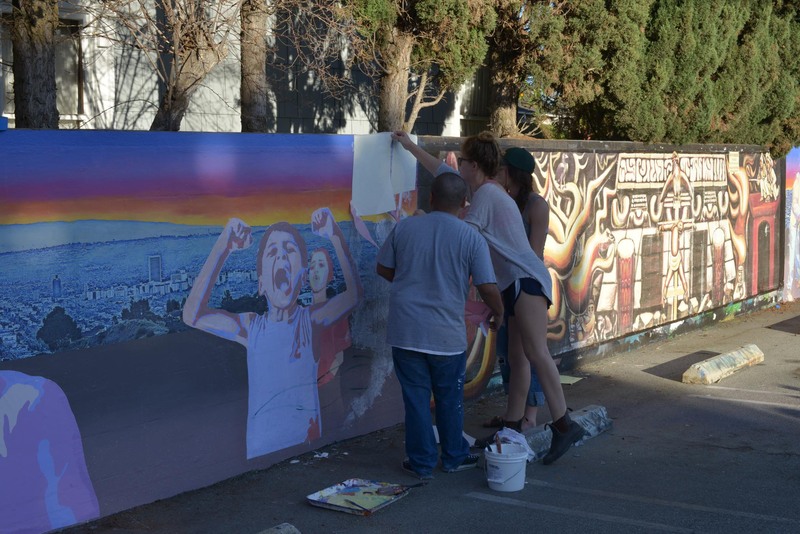 UCLA@SPARC: today, students in Professor Judy Baca’s Chicana/o Studies course, Beyond the Mexican Mural, are engaging in a mural production at SPARC… entitled, “LA Tropical”, the production offers students insight on how to facilitate collaborative community projects. 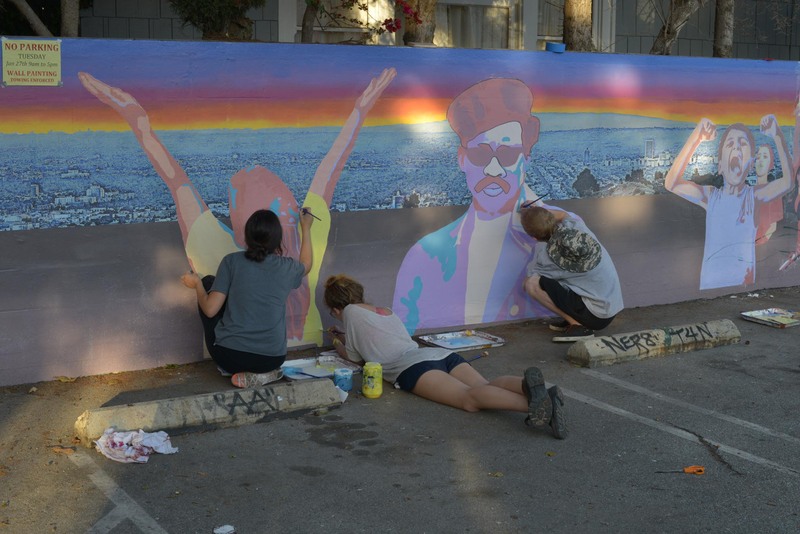 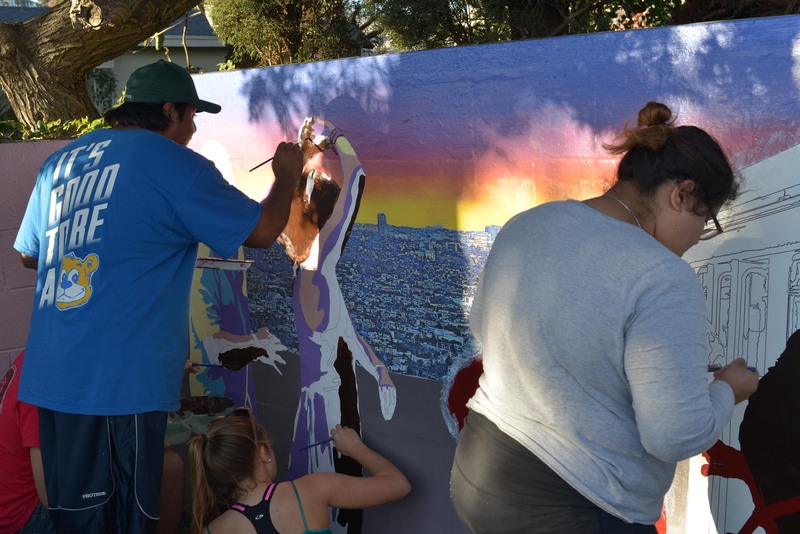 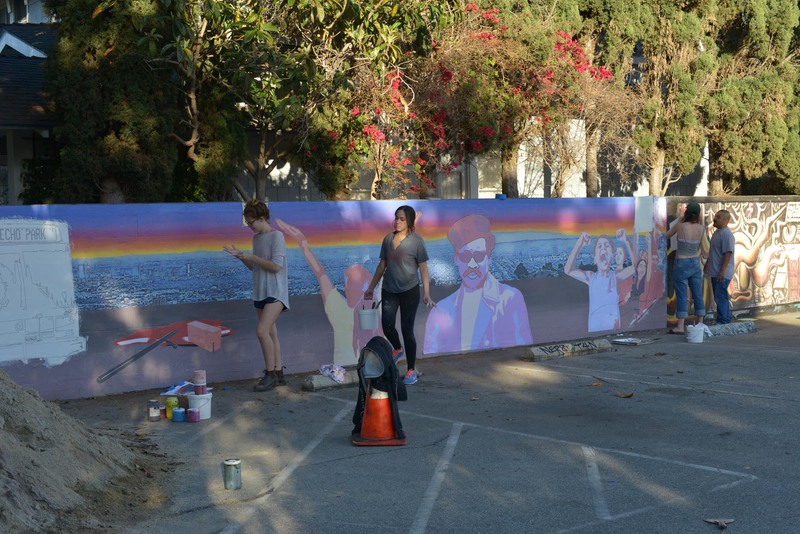 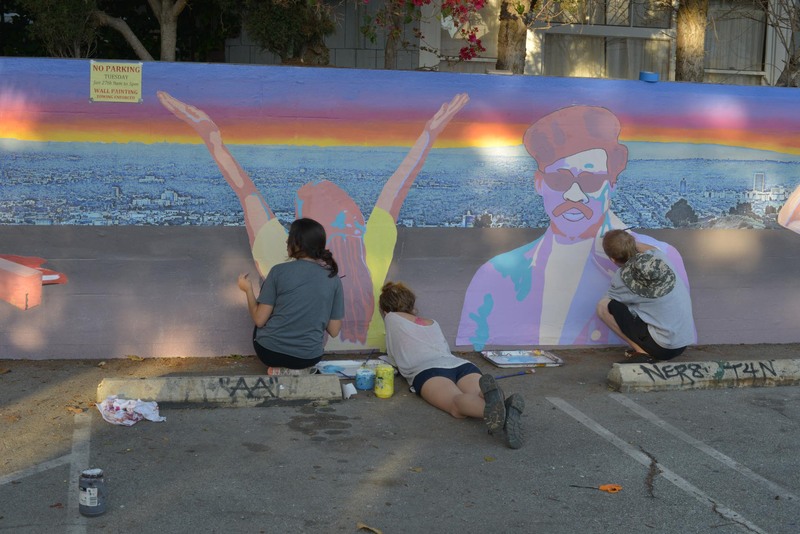 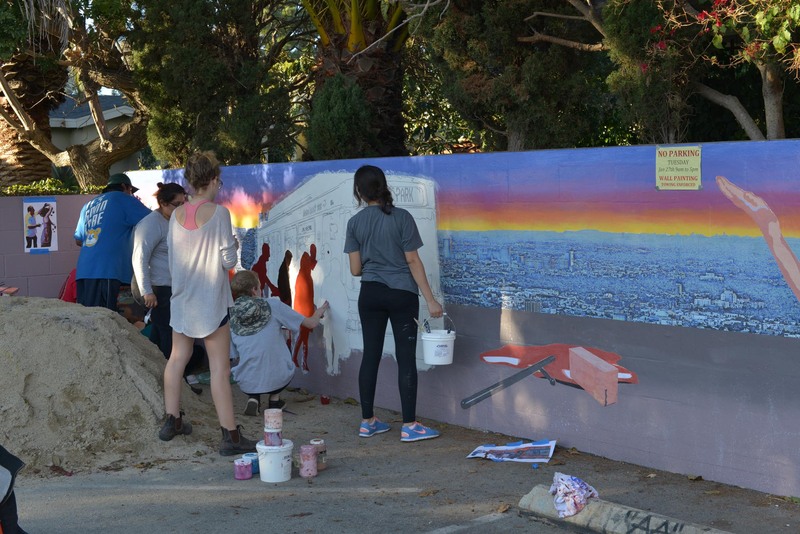 Based on student research, the mural reflects the lives of ordinary Angelinos in a meaningful visual narrative. 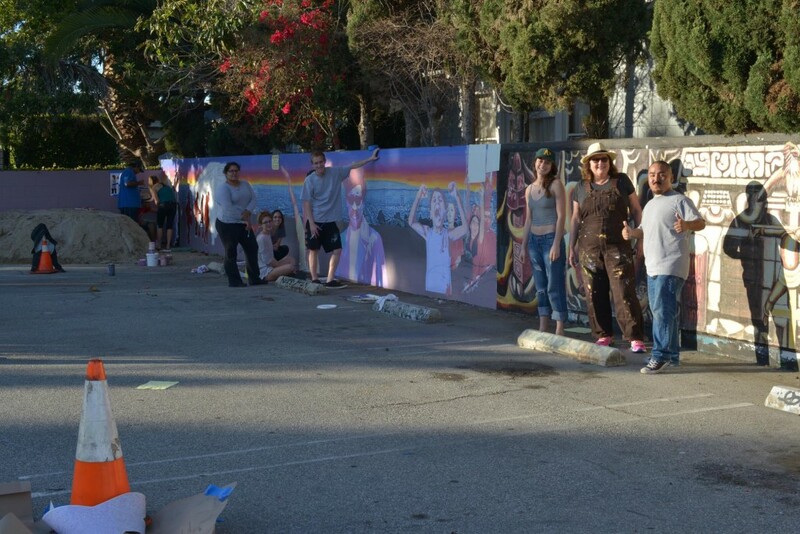 Stay tuned for the final product next week!